360° endless panning and tilting between –15° and 195° are available thanks to the high-performance pan/tilt mechanism. 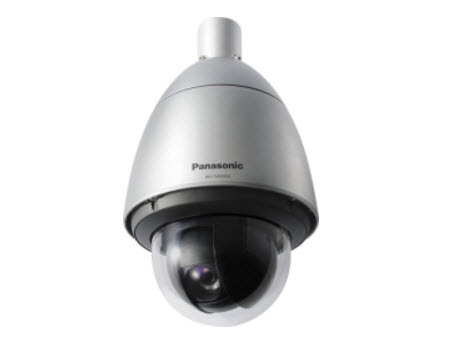 Wide range monitoring can be performed only with a single camera. The auto tracking function using simultaneously all of the panning, tilting and zooming is available. When a motion is detected in a registered monitoring area, the camera will track the motion (object) and capture it. Tracking using 2 cameras or more is also available.